Its books are part of the history of Scotland and attract thousands of missionaries every year. 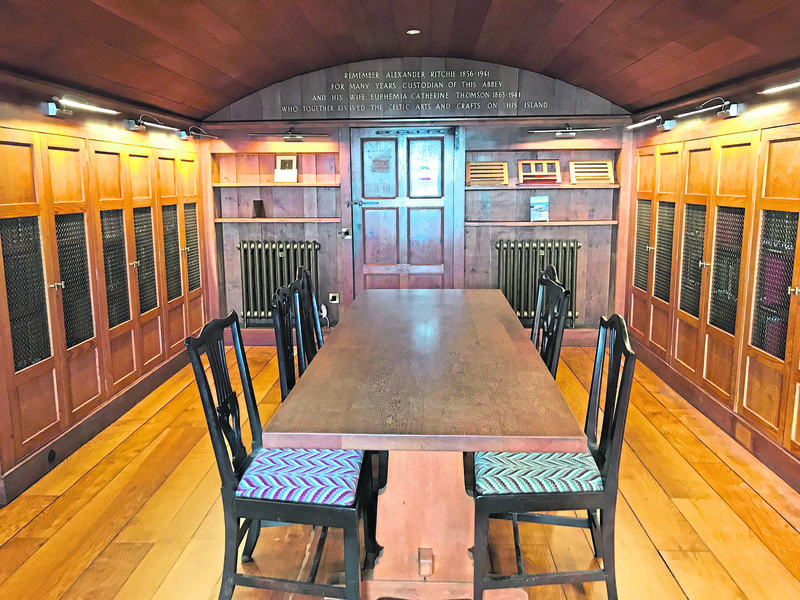 Now a “gem of a library” on Iona, whose origins lie at the heart of early Christianity, has been significantly renovated after two years of work. The Duke of Argyll will officially open the Iona Abbey Library today, following the initiative to bridge the gap between the past and present for future generations. The refurbishment has been carried out on behalf of the Iona Cathedral Trust, which was established by the Duke’s great-great grandfather in 1899, and the National Lottery granted £100,000 towards the scheme. 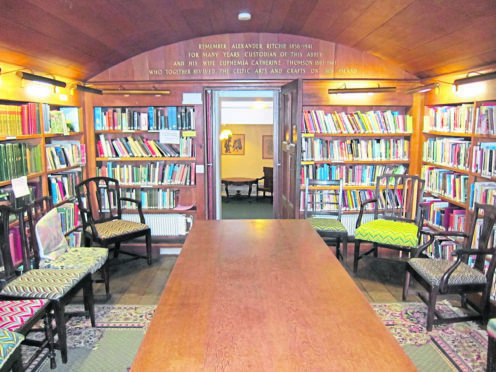 The Very Reverend Dr Finlay Macdonald, chairman of the trust, said yesterday: ”We are grateful to all those who have worked to restore this gem of a library. As part of the project, some 300 historic volumes have been repaired by conservation experts on the mainland. A digital catalogue is also being created and this will be hosted by the University of the Highlands and Islands. The collection includes rare Gaelic manuscripts and myriad examples of Celtic art. Local communities on Iona and Mull have been able to learn about the library during its closure with tours for schools and opportunities for children to try their hand at book-binding and calligraphy. At the heart of St Columba’s monastery, dating as far back as the sixth century, was a scriptorium in which manuscript copies of the Bible and other texts were made by monks. The Book of Kells may have been created on Iona and sent to its sister community in Ireland for safe-keeping during Viking invasions. The Columban monastery was replaced in the 13th century by a Benedictine Abbey, which included a library above the Chapter House. Eventually the medieval abbey fell into disrepair until it was restored by trustees in 1913 and the domestic buildings, including the library, were restored by the Iona Community in the 1940s and 1950s.